Written on March 6, 2014 . Posted in Announcements + Updates, Updates from the Museum of Art. In conjunction with her exhibition at the RISD Museum, Meissen Recast, artist Arlene Shechet (RISD MFA, Ceramics) speaks about her residency at the world-renowned Meissen Manufactory. Arlene Shechet Breaks the Mold: Meissen Overtime begins at 2 pm on Thursday, March 20, in RISD’s Metcalf Auditorium. Shechet was invited to the German porcelain factory and gained access to all areas of production as she worked alongside Meissen artisans, learned their techniques, used their tools, and observed the company’s traditions and processes. She made plaster reproductions of original factory molds, which she then assembled to produce a variety of cast, hand-painted porcelain forms; her resulting “molds of molds” merge what is precious and luxurious with the industrial and usually hidden. 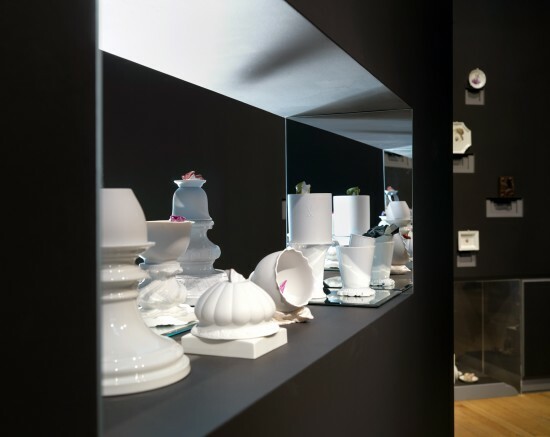 The work she produced during her residency, now on view in Arlene Shechet; Meissen Recast, celebrates and subverts the language and craftsmanship of the world’s pre-eminent porcelain manufacturer. Arlene Shechet Breaks the Mold: Meissen Overtime is free and open to students, faculty, staff, and the public. Presented by the Providence Pottery and Porcelain Club. 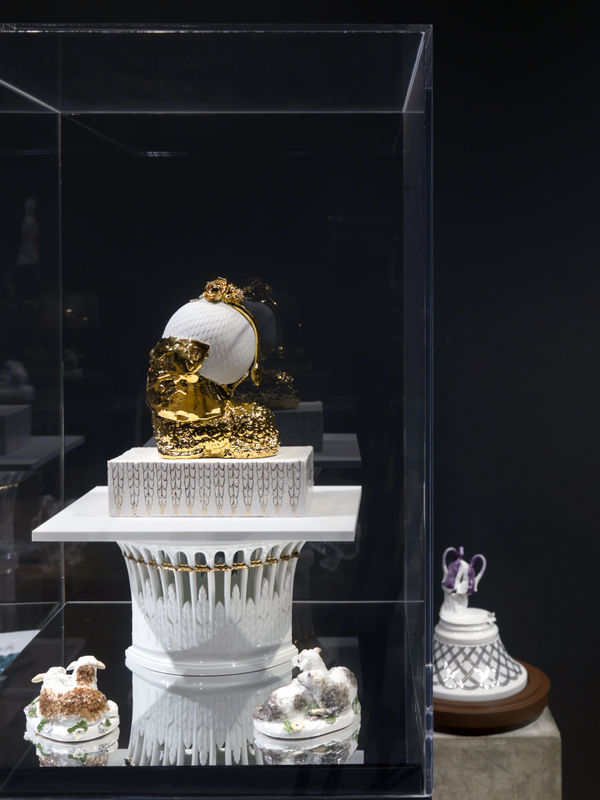 Arlene Shechet; Meissen Recast is on view through July 6, 2014. Photography by Erik Gould, RISD Museum.